Family song and dance version of Lewis Carroll's classic tale. 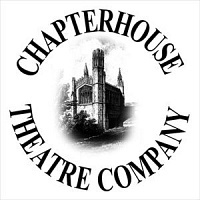 "Take a trip down the rabbit hole with Chapterhouse Theatre Company this summer as they present the classic tale of Alice's Adventures in Wonderland. Join Alice as she stumbles into the magical world of Wonderland and meet a whole host of colourful characters. From the unforgettable White Rabbit and the madcap Mad Hatter to the terrifying Queen of Hearts, Alice's journey couldn't be filled with more adventure. Presented in beautiful Victorian costume and alive with song, dance and original music, this is a production to delight the entire family in some of the UK and Ireland's most stunning open-air theatre venues."